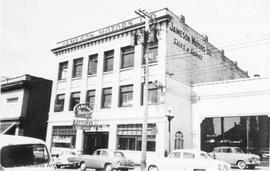 Jameson Motors, north side of Broughton between Douglas and Blanshard Streets. N.E. corner of Quadra and Fort Streets. 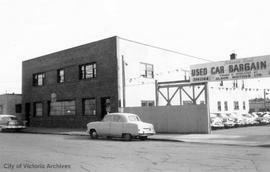 Jameson Motors, S.W. corner of Broughton and Blanshard Streets. Pictured outside Jameson Motors, 740 Broughton Street. Interior of garage and showrooms.